The LaFontaine Automotive Group and its executives are taking a hands-on approach to philanthropy. In early February, the group will award $780,260 in grants to five cancer research projects underway by researchers affiliated with Beaumont Health, DMC Children’s Hospital of Michigan, Henry Ford Health System, and C.S. Mott Children’s Hospital at the University of Michigan. Those projects, and others LaFontaine has funded through the U Can-Cer Vive Foundation launched three years ago, were hand-selected by a core group of about 20 of LaFontaine executives, employees, family and friends who raise money, plan events and review grant proposals. With the latest round of funding, the group has granted just under $1 million to fund local cancer research over the past three years. The effort is personal for COO Ryan LaFontaine, who was diagnosed with Hodgkin’s lymphoma at the age of 29 in 2008. 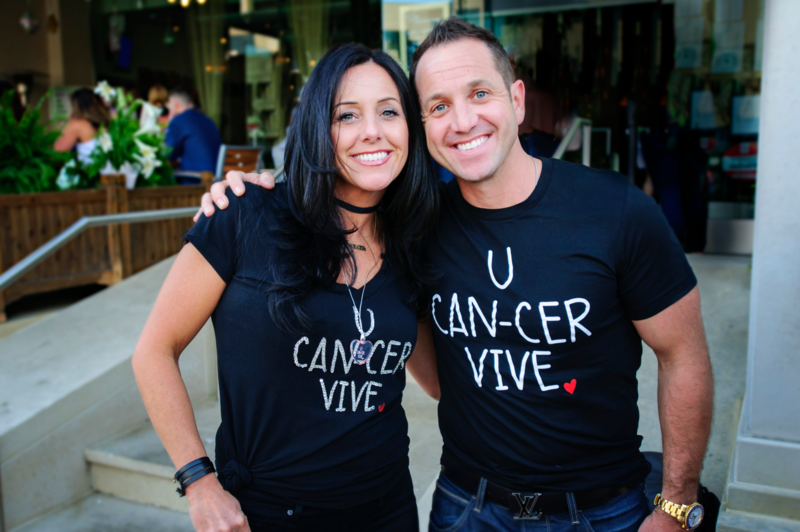 Following his successful treatment and remission, he and his sister Kelley LaFontaine, vice president of the automotive group, began looking for a way to make a difference for others diagnosed with cancer. They started out raising money for the Leukemia & Lymphoma Society but launched their foundation out of a desire, they said, to see 100 percent of the net proceeds raised go directly to research. “There are so many people we know who have been impacted by this disease,” said Ryan LaFontaine, 41. The U Can-Cer Vive Foundation reported $427,149 in total revenue in 2017, the year of its most recent 990 tax form. Operating expenses outside of program or grant costs totaled $86,713, or 20 percent of total revenue. LaFontaine and his sister serve as chairman and vice chair, respectively, on the foundation’s board. Two friends serve on the board with them: Dean Brody, managing director of Accenture, and Eric Bowden, principal partner at Bloomfield Hills-based Colombo & Colombo, P.C. The brother and sister duo tour hospitals and research facilities and meet with the leaders of local hospitals and oncology departments for guidance on where grants can make the most difference. They invite local cancer researchers to apply for funding and also take grant requests through the U Can-Cer Vive Foundation website. Nearly 16 million people in the U.S. are cancer survivors, and yet there is little support for research related to their health needs, said Laura Lamb, Ph.D., research scientist in the Department of Urology at Beaumont Health and assistant professor at the Oakland University William Beaumont School of Medicine. A second grant from the U Can-Cer Vive Foundation is funding the efforts of Lamb and colleagues to develop a simple urine-based diagnostic test to detect damage to pelvic cancer survivors’ bladders from chemotherapy and radiation early and to treat it before it escalates. A valid biomarker test will allow development of individualized therapies and may apply to other organs, such as heart and lung, which may get damaged by radiation therapy in the treatment for cancers such as lung cancer or lymphoma, Lamb said. “We are thankful for the support U Can-Cer Vive has provided for this significant research,” she said. The foundation seeks projects that see minimal funding, such as childhood cancers, and/or are aimed at fighting cancers with the lowest cure rate, such as pancreatic cancer. They’re also looking for research projects that need funding in order to be able to do more research or collect more data to boost the project to a level that it could qualify for a grant from the National Institutes of Health, LaFontaine said. “We’re learning as we grow,” said Kelley LaFontaine. Six work committees oversee everything. The events committee plans the foundation’s annual June golf outing, a fashion show with cars at the M1 Concourse in Pontiac and also a sponsorship program that provides teddy bears to children at local hospitals on Valentine’s Day. In addition to raising funds through the planned events, the LaFontaine Group also offers customers at its dealerships and body shops in the Metro Detroit, Lansing and Birch Run areas a donation opportunity to round up to the nearest dollar with purchases and gives employees the option of wearing jeans to work for a donation. Other committees oversee everything from giving to media and promotion to volunteer outreach and management and grant proposals review for presentation to the full core group of those who are continuously engaged with the foundation’s work. Once grants are awarded, recipients are asked to report back at the six-month and one-year points on how the grant dollars are being spent and how the research is going, whether as expected or not, and whether more funding is needed. Ryan LaFontaine said the goal is to raise $1 million a year for cancer research in Michigan. By working together and pulling in an increasing number of volunteers, that’s attainable, Kelley LaFontaine said. And she believes the foundation’s volunteer-driven, low-cost model is sustainable. “If it continues to grow, we’ll just get more people to support us,” she said.